How can I get help with English? What accessibility supports does EdReady provide? What if I need to switch Goals (classes)? When should I receive my account activation email? Mine never showed up. What does the suggestion and search dialog do on the My Schools page? 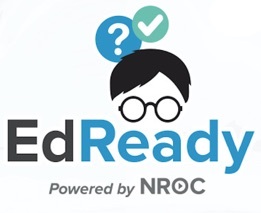 When should I use EdReady? Why is my school or program directing me to EdReady? Can I change the schools listed on the Target Options page? Yes. Simply click on the "Modify list" link and you will see a window were you can search for other schools or programs and add them to your list. Can I change my target scores on the Target Options page?